If you experience back pain in your upper back and neck area it is most likely caused by poor posture. 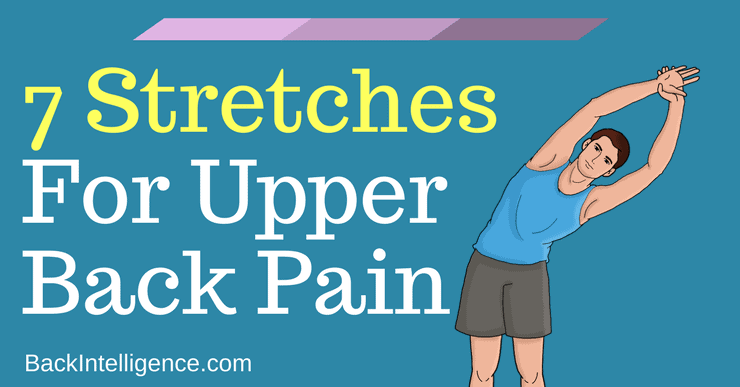 But no worries, we identified the muscles that are tight on most of the population and listed specific upper back stretches below to help you release them, lessen your back pain and increase your mobility. This is a great stretch to release tight trigger points in between your shoulder blades. Because of bad posture the upper traps get really tight. 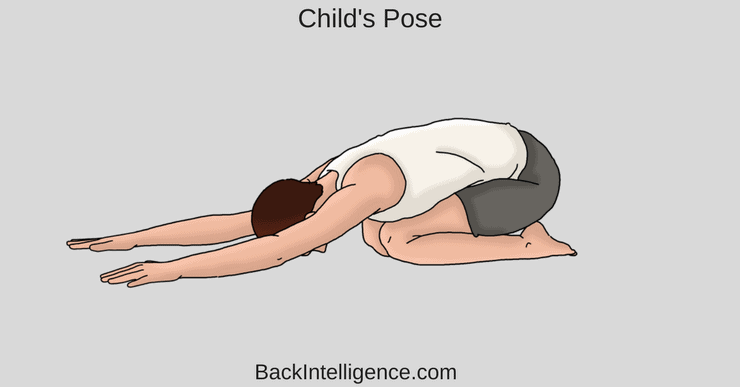 So this is a great stretch to combat that hunchback posture we all fighting these days. –	Grasp over the top of your head with your left hand to apply a mild force towards the left. –	Hold this position for 15 to 20 seconds. –	Aim for 3 repetitions of this stretch on each side. The lats is the biggest muscle of the back and is involved in many daily activities, as well as sports, so it gets very tight in most people. 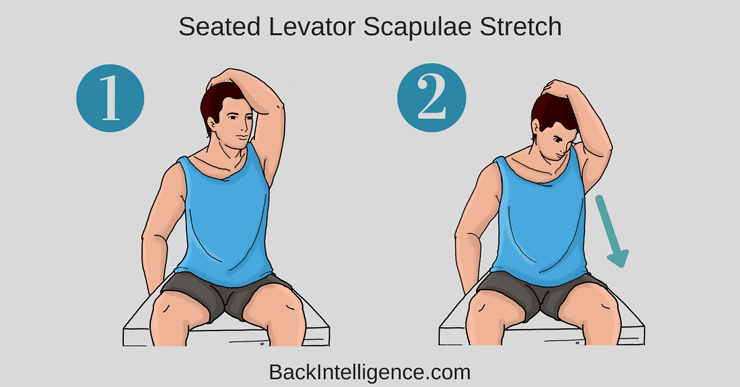 Targeted muscle: Stretches Levator Scapulae. Because of rounded shoulders and forward head position This is one of most effective upper back stretches because the Levator scapulae muscle in particular gets very tight from our cell phone texting and prolonged desk work. –	Bring your chin in towards your chest and rotate your head towards the left shoulder. – Then using your left arm gently push your head down looking towards your left armpit until you feel a slightly stretch along with right side of your neck. 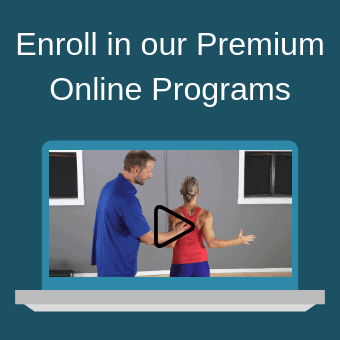 The Complete Posture Fix (With Dr. Oliver) – Fix your Posture and Ergonomics, Ease Back & Neck pain, and Increase your Mobility. This exercise both strengthens and stretches all the right posture muscles. And the best thing is that it’s easy to do it from anywhere – even in your office. – Begin standing with your back straight. – Make “W” shape with your arms. Bend both of arms to about 90 degree angle as you lower them to your stomach area and then squeeze your shoulder blades together. Hold for 2 breaths. 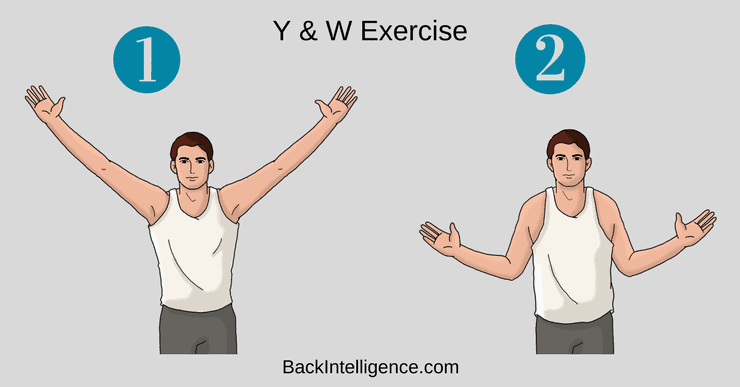 – Make “Y” shape with your arms by extending both arms up. Hold for 2 breaths. 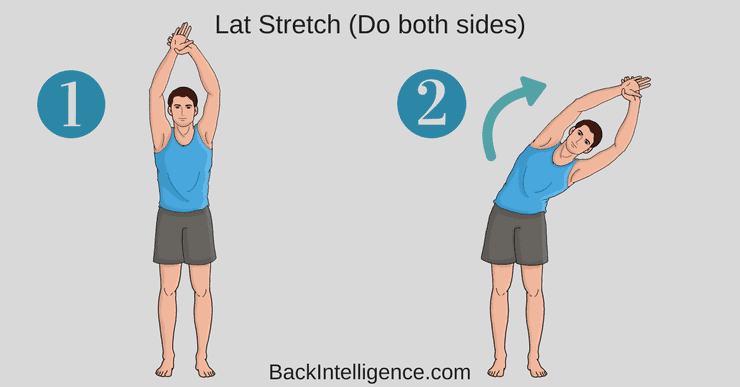 This stretch releases the back muscles such as Latissimus dorsi – which is usually tight from everyday activities. 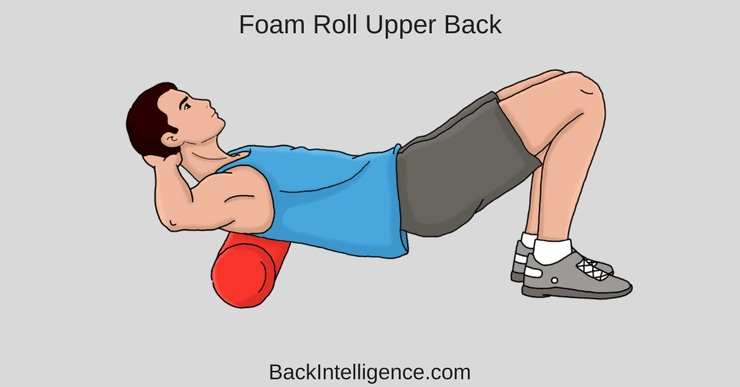 This is great way to loosen up the upper trapezius muscle that gets really tight from hunchback position – which is usually caused from poor posture. I have severe scoliosis and I’m finding your exercises are doing my back a lot of good and making me feel so much better. So happy I have found you ! I have been dealing with neck and shoulder issues for the last three years. The doctors, physical therapists and chiropractors all believe my bad posture is the reason for all the problems. Your stretch excercises help considerably. Awesome glad you liked them! It is true that most of these issues stem from poor posture.